Home / Los Angeles Dodgers / A Great Read on Steve Garvey, Los Angeles, Life off the Field, Hollywood, the Dodgers, etc. 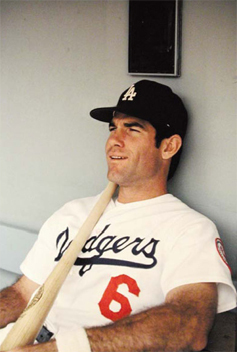 A Great Read on Steve Garvey, Los Angeles, Life off the Field, Hollywood, the Dodgers, etc. We had thought we linked this story done in 1980 for Newsweek, Inside Sports by one of our favorite writers – Pat Jordan – long ago. Stumbling through the archives, it’s nowhere to be found. We originally read this last year via the Deadspin Stacks. If you’ve got some down time on a Saturday and you’re around the computer, and you want to read a weird story about what it was like to be a star player in Los Angeles in the 1980’s (which later became infamous writing with some of the things that came out about Garvey), you should read this. Friggin’ love Pat Jordan. Some of his Deadspin excerpts here.